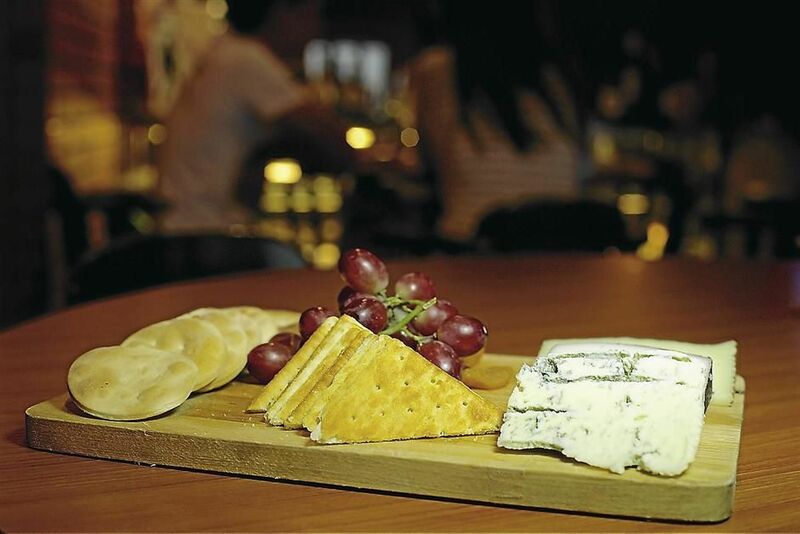 TUCKED away in Lintang Burmah, Penang, is the cosy and all embracing The Wine Shop, which features a long and impressive wine list coupled with bold-flavoured culinary innovations. Be it to relax after work, chill out with friends or simply to hang out, diners will find the outlet?s carefree and unassuming atmosphere inviting. The interior is characterised by custom-made wine barrel tables and high wooden stools, a delicatessen serving an extensive range of gourmet meats, sausages and cheeses while next door is the wine retail section offering some 1,000 labels from around the globe. Food-wise, the selections ranging from soups, starters, salads, pasta/noodles, mains, pizzas to platters are unpretentious and delicious. Choices may be limited but every dish is blissfully commendable. Start off with either the home-made mushroom or oxtail soup served with crustini bread while salad consists of home-made mashed potatoes or the all-time favourite caesar salad. Appetisers include escargots, caviar with sour cream, roast pork with braised peanuts and quesadillas (tortilla filled with bacon, cheese and ham). A signature noodle creation is the fried Korean noodle topped with caramelised roast pork. Cheesy bolognese and chorizo sausage pasta served with tomato sauce and fresh basil are also available. 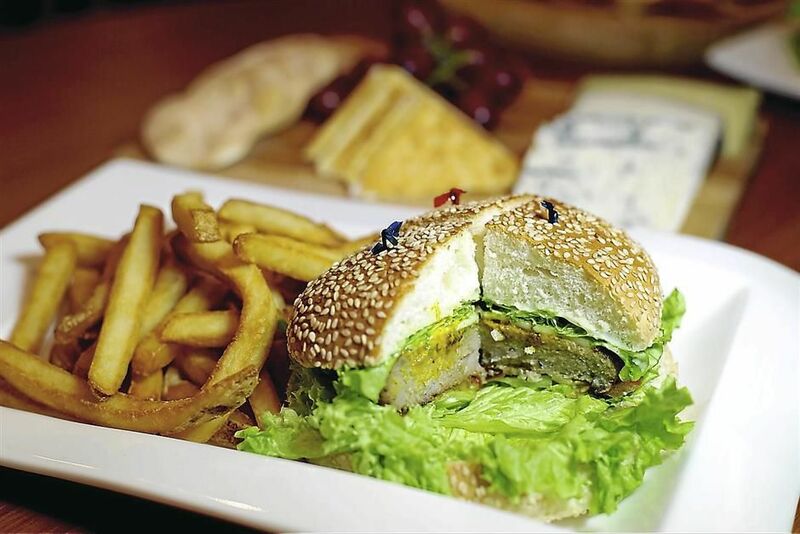 Mains such as ragout of lamb, bacon roll (pork sausage wrapped in a piece of perfectly fried streaky pork bacon), gourmet pork and apple burger, beef bourguignon and BBQ pork ribs with special sauce are prepared with finesse. Pork sausage and bacon pizza. The thin-crusted pork sausage and bacon pizza topped with parmesan, mozzarella and cheddar cheese is scrumptious. Other pizza selections comprise BBQ grilled chicken ham, spicy salami and pork bolognese. To further prime your taste buds are Johnsonville Three Musketeers banger and mash (trio of pork sausages) and deep-fried crispy pork knuckles which are categorised under the monthly specials that can be found on the notice board behind the bar counter. For cheese lovers, there is the gourmet cheese platter of gorgonzola, queso de murcia and manchiago accompanied by two types of biscuits and dried apricots. Satiate your penchant for cold cuts with the Western platter of prosciutto di parma, salami napoli, salami ungherese, salami schiacciata spicy and Maggie?s homemade chicken liver pate. Served with olives, sundried tomatoes, pickled gherkins, dried apricots and crustini bread, the platter is sheer lusciousness accompanied by a good bottle (or two) of wine. Priced at RM12+ per person, set lunch is available from noon to 3pm while afternoon tea is from 3pm to 6pm daily. The former consists of soup or salad, a main course and dessert while two types of sandwiches, salad and nachos are served for the latter. Both come with free flow of coffee or tea. Happy Hours are from noon to 8pm. Enjoy 20% off all night long on the featured house wine by bottle as well as selected French wines. The Wine Shop is open from noon to 1am daily except Sundays. For more information, contact 04-226 1824.